Claims that the European Union, the United Nations, and billionaire open borders activist George Soros have been distributing anonymous, pre-paid debit cards to migrants, either in concert or through separate initiatives, have been a bone of contention between pro- and anti-mass migration commentators for some time. The Commission claims the cards are limited to refugees and asylum seekers, not anonymous, and only valid in Greece — but the Hungarians have disputed their version of events. “The EC… says that ‘there are no anonymous debit cards’. However, they themselves admit that the single form of identification regarding the bank cards is a number,” Kovács wrote in early March. “Did you get that? 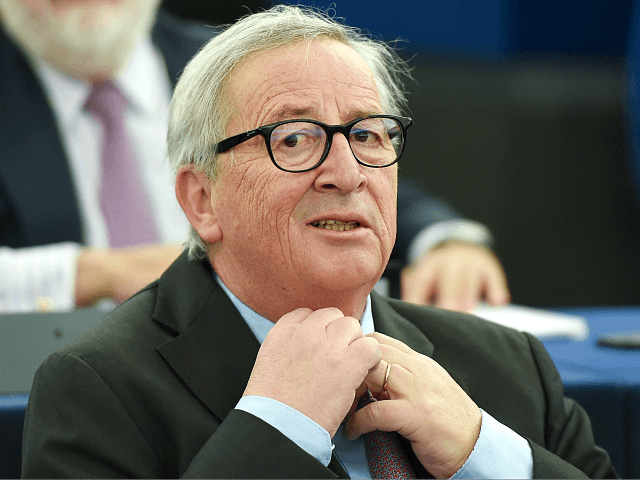 While EU nationals are required to abide by strict regulations to hold bank cards, Brussels doesn’t expect the same from migrants whose identities are often impossible to establish,” he complained. “Economic migrants may also submit asylum applications, but submission of an application does not in itself mean that the applicant is a refugee,” he pointed out.